Finding The Version of Salesforce Your Team is Using. Knowing which version of Salesforce your team is using is an important thing to know when setting up Fileboard. This will explain how to find this information. 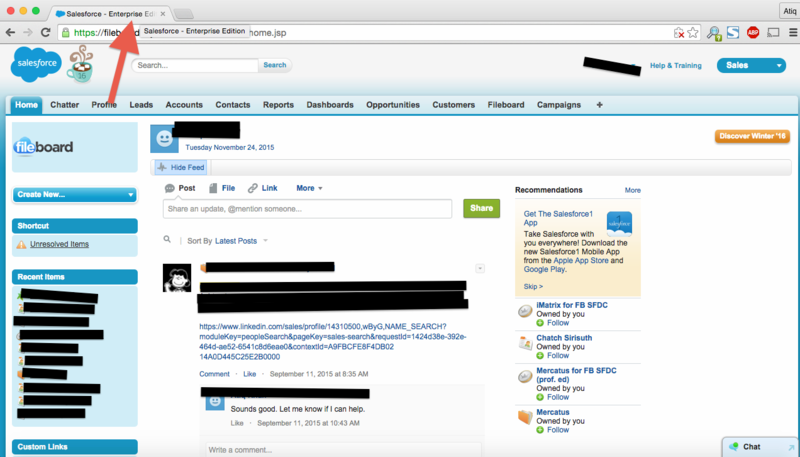 Login to your Salesforce account and makes sure you are on your Salesforce homepage or dashboard. This should simply be the first page you see once you have logged into Salesforce. 2. Hover your mouse pointer over the tab of your browser. Simply put your mouse pointer over the browser tab. No need to click. The hover function should show you some text telling you which edition of Salesforce you are using. The image below should show an example. If the text telling you which edition you are using does not appear, continue to the next step below. 3. Select your Name, then Setup, and then Administration Setup. 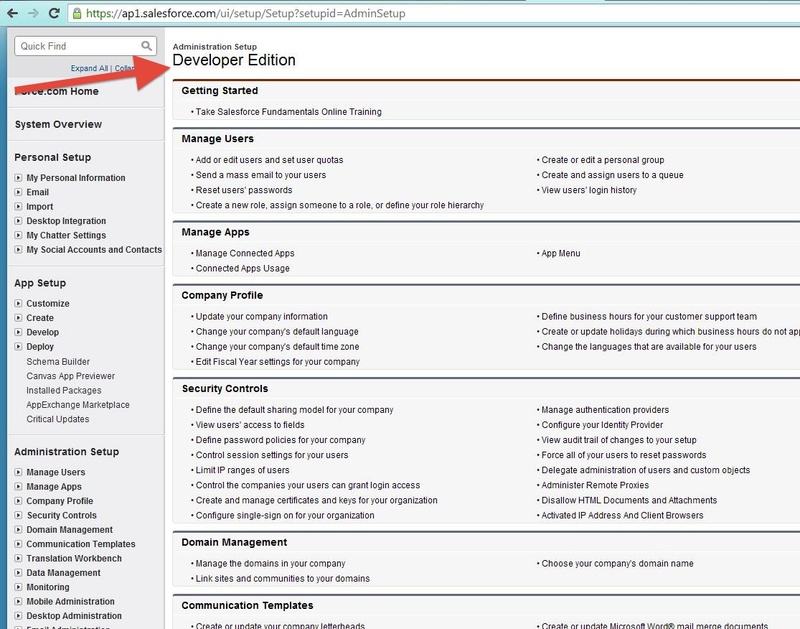 Once in the Administration Setup, your edition of Salesforce should be listed at the top of the page, as in the example below.